Freelance Feb17: Training alert - do NUJ Training survey! Training alert - do NUJ Training survey! NUJ TRAINING courses for 2017 include three-day sessions on shooting and editing video footage on Adobe Premiere, starting on 15 May. Both are at the NUJ's newly-refurbished training suite, at its Headland House London HQ. Watch www.nuj.org.uk/events/ and the NUJ's Twitter feed @NUJOfficial for updates on more training events, possibly at short notice. Please do take the time to fill in the NUJ's Training Survey about your training needs. The NUJ's range of courses - always priced as cheaply as they possibly can be - cannot grow unless the union knows which courses have enough interest to sustain them. The survey includes a tick-box question on the sort of training you'd like the NUJ to offer - some are areas the Union's courses already cover, some are suggestions that it might consider offering in the future. At the end of this question there's an "Other" tick-box, which allows you to fill in other suggestions: it looks cramped, but I found I was able to fill in the short essay the subject deserves anyway. This isn't just about you - please fill in ideas for training courses you feel other journalists at different stages of their career would benefit from. As ever, the Federation of Entertainment Unions (FEU, of which the NUJ is a part) offers free courses for NUJ members on "the business side" of being a self-employed creative. We've heard a particularly strong recommendation for its CV-writing course, for example. Details are at www.feutraining.org/. 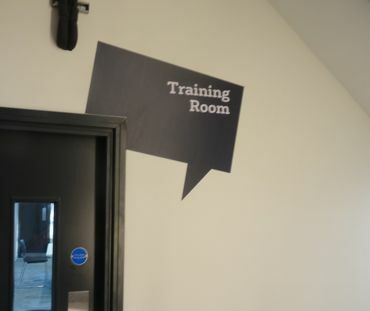 Many NUJ training courses started life as projects conceived and run by LFB before going national, so feel free to pitch ideas for training initiatives to our Branch Training Officer Frederica Tedeschi. The Branch has a budget for developing training initiatives.